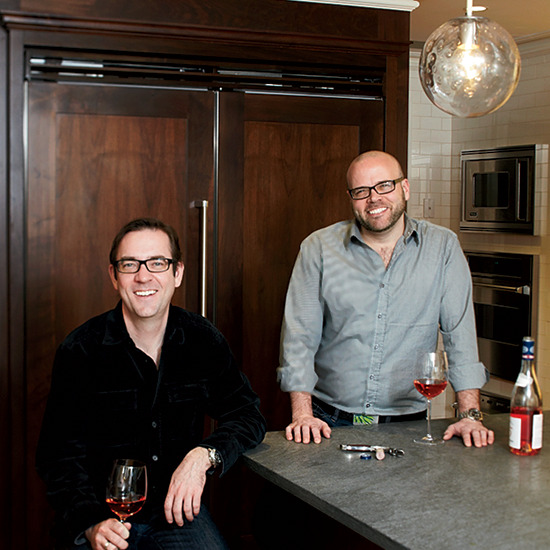 In a 19th-century house, Food Network star Ted Allen and his partner, interior designer Barry Rice, created a modern kitchen built for serious cooking and entertaining. 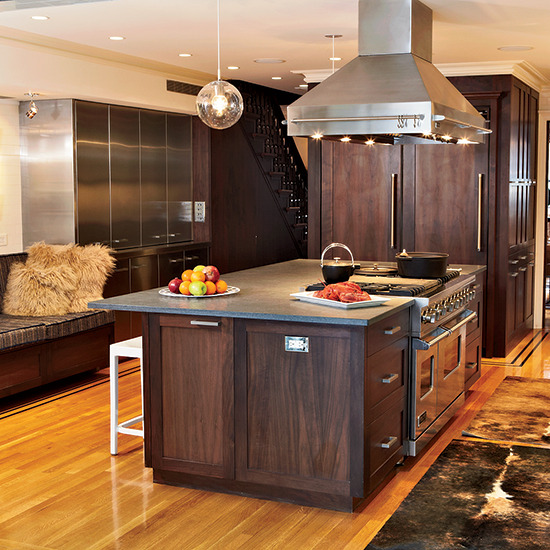 The stainless steel cabinets are from St. Charles; the walnut ones were custom-designed by Jarek Trzeszczkowski of George W. Sweeney Architect LLC. stcharlescabinets.com. Ted Allen wanted a 30-inch Viking freezer separate from the 30-inch refrigerator, for storing chili and soup for weeknight meals. "When I come home from a shoot, I'd rather reheat food I've made than eat takeout," he says. $5,025; vikingrange.com. Two 1970s pendants provide task lighting over the island (rewirela.com). 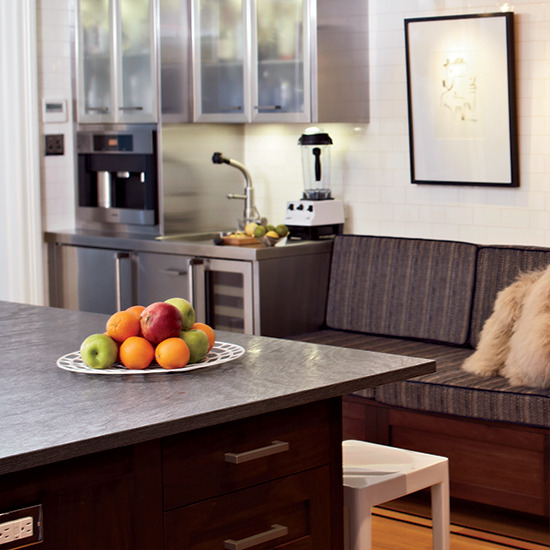 Rice chose xenon undercabinet lights because they don't get as hot as halogen bulbs. waclighting.com. 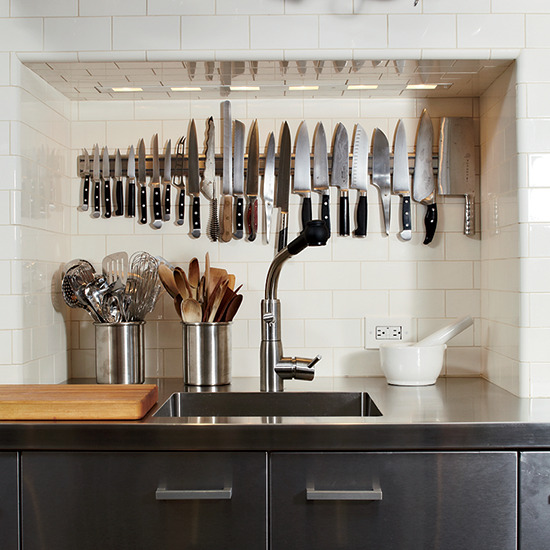 The three sinks are custom-made stainless steel. "For the same price as a stock sink, we could pick the dimensions and use thicker steel," Barry Rice says. The sinks all have the Systema faucet from KWC; two faucets turn on with a Tapmaster foot pedal so that they don't need to touch taps with dirty hands. "I'm a fanatic about food safety," Ted Allen says. $1,730 per faucet; kwcamerica.com. $345 per foot pedal; tapmaster.ca.